● Kyle Busch started first and finished third. ● Busch maintained first place until lap 31 when teammate Denny Hamlin chased him down to take over the top spot. Five laps later he fell back to third, reporting that the car was light in the left rear of the car. ● Caution waved on lap 43, and Busch made a pit stop for an air pressure adjustment, four tires, and fuel. Quick pit work allowed him to exit pit road first and regain the lead. 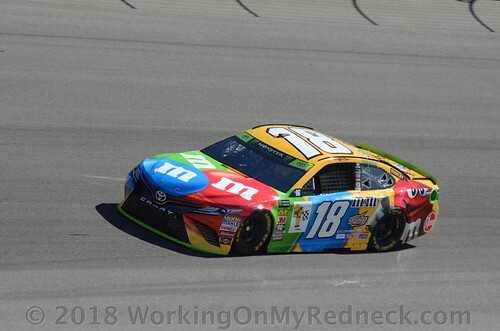 ● The M&M’S Halloween Toyota driver maintained the top spot for the next several circuits around the half-mile track, noting that the handling was definitely better but that the car still felt a little light in the left rear. ● Busch surrendered the lead to Hamlin once again on lap 116. ● As Stage 1 drew to a close, lapped traffic allowed driver Joey Logano to catch the No. 18 Toyota and battle for the runner-up position. 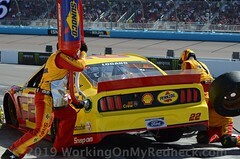 Logano edged Busch as they came to the start/finish line on lap 130, so Busch finished the first stage in third place. ● The team made chassis and air pressure adjustments changed four tires and added fuel during the break after Stage 1. ● Busch passed Hamlin for second place on lap 142. He spent the next several laps trying to chase down race leader Logano. ● The 2015 Cup Series champion dropped back to third place on lap 244. 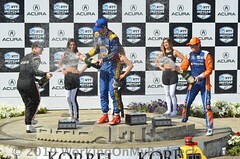 He maintained the position to the conclusion of Stage 2. ● During the break, Busch explained that the car had trended toward the loose side and that he really needed help with the left rear for better drive off the turns. The team made a number of changes including air pressure and wedge adjustments while changing four tires and adding fuel. 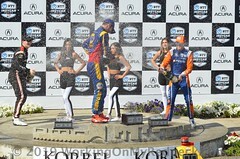 ● Busch started third and finished fourth. ● Handling remained an issue on the No. 18 M&M’S Halloween Toyota as Stage 3 unfolded. Busch lost a handful of positions before settling into the fifth position on lap 300. 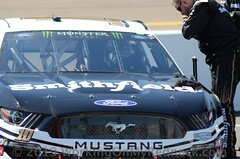 ● The Las Vegas native reported on lap 357 that the car’s handling had trended to the tight side. 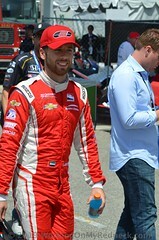 Despite the handling challenges Busch continued to log laps in the fifth position. ● The race pace was slowed in the waning laps by a few cautions, the last of them taking place on lap 456 with Busch in fourth place. All cars made a trip to pit road, where the No. 18 team made an air pressure adjustment, changed four tires and added fuel. ● Quick pit work resulted in Busch restarting the race from second place. ● Busch made the most of the closing laps but eventually had to surrender second and then third as faster cars approached. He dropped to fourth place on lap 485 and maintained the position to the checkered flag. ● Busch led two times for a total of 100 laps. Next Up: The next event on the Monster Energy NASCAR Cup Series schedule is the AAA Texas 500 on Sunday, Nov. 4 at Texas Motor Speedway in Fort Worth.